Home F1 Alonso Gearing Up for Indy Car Test? 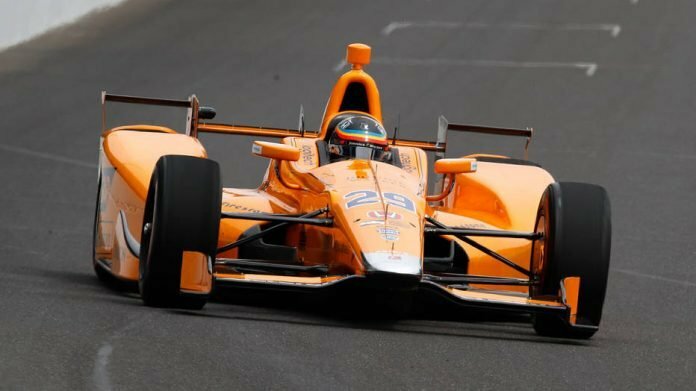 Alonso Gearing Up for Indy Car Test? 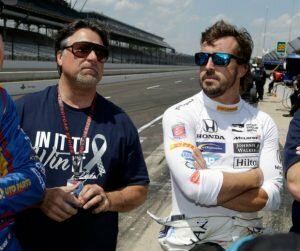 The rumour about Fernando Alonso moving to race in the IndyCar series in America come the end of the season have been doing the rounds incessantly. But it seems that those may not be rumours after all. McLaren CEO, Zak Brown has admitted to the fact that they are trying to find a slot in his busy schedule for Alonso to test the car before making the switch. “He may test [Indy Car] later this fall”, said Brown. Some reports stated that Alonso will take part in the test as early as next week, when the F1 season takes its mid-season break. He was supposedly testing for Michael Andretti’s IndyCar team. But the team dismissed it outright. “There is nothing to it. No F1 driver I know is testing for us next week”, stated Andretti team president, Rob Edwards. Even Zak Brown backed the blatant dismissal. “Fernando isn’t testing next week in Portland and was never scheduled to test later in the year. He’s got a World Endurance Championship race in August so he’s staying in Europe during our break”, he explained. Brown is said to be working with Michael Andretti to put together a two-car team for McLaren in IndyCar starting next season. He revealed that the plan was still in its nascent stages. “We are still working through our plans. We’re just laser focused on F1. Once we get past Hungary this weekend and when the summer break kicks in, we’ll start making some decisions”, he said. Brown has all but confirmed that Alonso will be taking part in the IndyCar test which means that we can expect him to bow out of F1 after seventeen years at the top. But he may yet remain in F1 as he sniffs a chance at taking the second seat at Ferrari.